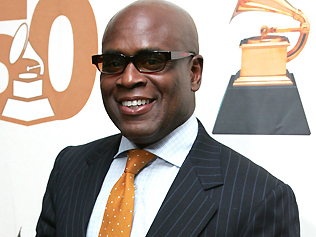 *Island Def Jam chairman Antonio “L.A.” Reid has been recruited by Simon Cowell to serve as a judge on his U.S. version of “The X Factor,” scheduled to air later this year on Fox. Sources tells The Hollywood Reporter “it’s a done deal.” However, an official announcement will be made later this week, according to an insider. Reid, whose contract with Universal Music is up in December, will get an early release so that he can take part in the talent series, which awards a Sony Music recording contract worth $5 million to the winner. Reid is expected to be one of four judges. It is also believed that he will land a position at Sony Music, which is about to undergo a major management restructuring when current UMG chairman Doug Morris steps in as CEO of Sony Music on July 1. Auditions for “X Factor” begin on March 27 in Los Angeles.